Virtual reality is something that everyone should try out. This is a revolutionary technology that is changing the way we experience games, movies, education, sports and so much more. The ability to be immersed in a virtual world with freedom to look around and interact with different elements is something everyone can enjoy. That’s the beauty of VR – it has something for everybody. You don’t need to be a gamer to enjoy the fruits of this ground-breaking technology. With VR headsets falling in price and becoming affordable for the common user, there’s a high chance that most of us will come in possession of one in the near future. But what should you actually do with the headset once you’ve acquired it? Are you only relegated to trying out a bunch of different games? That’s only partially true, as gaming is the most popular use for virtual reality right now. But there’s so much more to do in virtual reality. There’s a whole new world of experiences waiting for you once you’re ready to make the jump. In this article, we’ll be looking at various ways to use virtual reality glasses. Simulating the experience of going mountain biking without the element of exercise does take a lot of the benefit out of the actual activity. Does virtual reality mean that people will just sit around in their homes, watch some beautiful views without engaging in any physical activity? That could be true, but it doesn’t have to be. 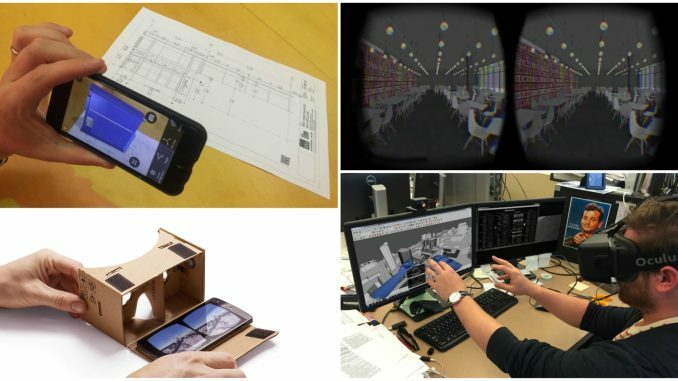 Virtual reality can be combined with a number of external devices to fully simulate a real-world experience. You’ll require a specialized rig for this experience but it’s quite worthwhile since you’ll be getting some physical exercise while immersed in beautiful virtual reality views. VirZoom have come up with what they’re calling a VR bike, a bike with special sensors that feed information to your VR headset while you cycle about in a virtual reality environment. The VR bike will set you back $399 and comes with a set of games that are designed to be fun and help you get some physical exercise as well. This could also be very useful for people who’re looking to lose some weight, in a fun manner. The real draw of going to the cinema for watching movies is the cinema screen itself. The huge size of the screen makes for a more rich and satisfying experience – an experience that people simply cannot achieve in their homes. That could be a thing of the past thanks to VR. While watching a movie in VR won’t provide you with fancy effects such as 3D, it will make the experience much more immersive only because of the change in the size of the film itself. Netflix offers users the ability to watch movies in a virtual theatre on a 60-inch screen. Certainly beats watching moves on a smaller display. Skydiving is a risky and expensive hobby. Most of us probably aren’t going to do it at all, either due to the fear of falling freely towards earth at tremendous speed, or simply because our budget doesn’t allow for such an ‘extravagance’. With virtual reality headsets, you can get a somewhat lifelike experience of what it means to plummet towards the earth. A software company called nDreams currently offers something similar to skydiving. They call it SkyDIEving, with the DIE symbolizing the game as a “death plunge” simulator. The game works with the Oculus Rift and even offers certain challenges to its players including a mini-game where they must avoid obstacles as they hurtle towards the ground. A game recommendation as a VR experience might seem obvious, but we’re picking GTA V for some very good reasons. Developer Rockstar Games made first-person available for PC gamers, and a VR experience capitalizes on this opportunity. Rockstar hasn’t rolled any kind of official VR support for the game, but there are third-party workarounds that allow players to explore the fictional city of Los Santos in virtual reality. If you’re already familiar with GTA V, you’ll be amazed by the additional depth of immersion that virtual reality provides. Watching the city wake up in the early hours is really quite a worthwhile experience. To get your Oculus Rift or HTC Vive headset working with GTA V, check out VR apps from VorpX. They aren’t perfect and some cases can be downright nauseous. Still, we think GTA V in virtual reality is definitely something to experience. Everyone can agree that being the commander of a spaceship sounds like a pretty good deal. But the sad reality is that becoming one sounds a bit out of reach. That’s why it’s so important to mention EVE: Valkyrie – a space war simulator that’s coming to the Oculus Rift, HTC Vive and PlayStation VR. EVE games have made a name for themselves in the past for their epic battles and expansive experience as you explore space and engage in dogfights with other space cruisers. Bringing that experience into virtual reality is a very wise move as space is the perfect candidate for VR replication. Just exploring space in VR is an experience in itself. And when you throw in the intense space battles, it really does start to sound like a very enticing proposition. Be sure to check out EVE: Valkyrie in VR. This one’s for everyone, and not just science fiction fans. For many of us, drawing or painting a picture can be a thoroughly relaxing and satisfying experience. But there very few times when we’ll actually go to the care of assembling the tools required for drawing or painting anything. This can change with virtual reality, as you just have to pick up your headset and start painting right away. Apps like Tilt Brush by Google and PAINT VR for Gear VR are just a couple of examples of how you can do this. There are even 3D sculpting apps available that let you build complete sculptures in VR! So if you’re feeling particularly creative, drawing art can be as convenient as just putting on your VR headset. Virtual reality has something for everyone. It’s not only for technology enthusiasts or geeks. In fact, relegating VR as something only tech-savvy people do is like saying that movies are only for people who like watching moving pictures. Virtual reality is a vast concept with a variety of uses and applications. Its main purpose is to entertain, and there are many ways it can do just that. The activities listed above are just a few great examples of how to use virtual reality glasses to novel experiences that have been made possible with VR technology.